We include airport/hotel transfers. – Whether you book an air-inclusive or hotel only vacation package, Apple Vacations includes round-trip transfers between the destination airport and hotel. You can relax knowing that your transportation is taken care of for no additional cost, unlike other travel sites that charge up to $100 per person for transfers. Please Note: Transfers are not included for Hawaii and ski (rental car or transfers can be added at the time of booking) and Turks & Caicos (taxis are readily available). We offer Non-stop Exclusive Vacation Flights. – Tired of layovers and inconvenient flight times? Our Exclusive Vacation Flights are frequently among the few–or only–non-stop options to your destination. Plus, most feature convenient morning departures and evening returns to give you the most time in paradise. Don’t see Exclusive Vacation Flights from your city? No worries, we work with most major scheduled air carriers on our air-inclusive vacation packages, so we’ll get you beachside in no time. We provide more value & more upgrades. – More than just a room and a great price, we are pleased to offer Exceptional Values at many hotels. Take advantage of a variety of added values such as room upgrades, golf discounts, Free weddings, and more! Can’t decide which hotel is right for you? Take it from fellow vacationers who have been there. Our Golden Apple hotels are Apple Vacationers’ favorites, based on post-vacation survey results. We offer a friendly face in a faraway place. – While other travel sites leave you high-and-dry once you’ve paid for your booking, we’ve got you covered throughout your entire trip. Our friendly and professional Apple Vacations Resort Representatives* are there for you with scheduled desk hours at most resorts and welcome briefings in all of our most popular destinations. We offer you peace of mind. – We get it – things don’t always go according to plan. That’s why you should protect your investment. AV-OK Total Vacation Security not only includes a cancellation and change waiver, but also high-quality travel insurance and our Best Price Guarantee. If we subsequently discount the exact same Apple Vacations package you have booked, and all components are still available, you can claim the savings prior to departure. We guarantee best prices. – While we do our best to make sure our fares are the lowest around, we realize that–on occasion–we may not be the lowest shop in town. No worries. With our Instant Price Match, if you do find a lower price from our competition prior to booking, we’ll gladly match it. For more information, click here. We have the best vacation experts. – In addition to ongoing state-side service training, our vacation experts also visit our most popular destinations for a hands-on vacation experience. Resort tours, fine dining, spa treatments, excursions–they experience it all to help you plan the perfect getaway. We’ve got groups down. – We know that planning even a group dinner can seem impossible, let alone a group vacation or incentive trip. Whatever the reason for your group getaway, our dedicated team will work closely with you to make this process easy and affordable. Take advantage of great group savings or Group-Ease® promo code discounts. If you’re planning a Destination Wedding, our team of wedding experts will help you choose the ideal resort for your special day in paradise, and handle all the travel details for your group–small or large. We’re honored. – Throughout our years as the leading name in all-inclusive vacations, we’ve racked up some impressive awards, including “Best Tour Operator” to Mexico for 13 consecutive years. No matter where you travel, we do everything possible to exceed your expectations and ensure a great vacation experience. We offer unforgettable excursions. – Swim with dolphins or whale sharks, zipline high above the treetops, or perfect your golf swing beside a gorgeous ocean backdrop. With our pre-bookable excursions from Amstar DMC and other independent suppliers, you can reserve your spot in advance of arriving in resort so you’re guaranteed to enjoy these once-in-a-lifetime experiences on the best days and times. Guests and families from all over the world arrive here every day looking for turquoise waters, white sand and the brightest sun. This paradise is also all about the people. Our culture, values and heritage. Our ideas, dreams and stories. Atlantis is your portal to a truly Bahamian experience. Atlantis, Paradise Island features the world’s largest open-air marine habitat; Aquaventure, a 141-acre waterscape, including the iconic Mayan Temple’s Leap of Faith slide; 11 incredible pools; four miles of magnificent beaches; a Tom Weiskopf-designed 18-hole, oceanfront golf course; and the Atlantis Casino. Aquatica, SeaWorld’s Waterpark™ is a whimsical, one-of-a-kind water park that only SeaWorld® could bring you. Where one river floats you through an undersea world of colorful fish and another races you into rolling rapids. Slides that spin and soak you and our incredible signature ride – two awesome, enclosed tube slides that send you speeding through a lively lagoon filled with playful black and white Commerson’s dolphins. Delight in the serene-to-extreme waters in the gigantic double wave pools and soak in the sun or the cooling shade on the white sandy beach. Aquatica is where the fun is as endless as the sea itself. With multi-park tickets you can visit as much as you want during your vacation (within 14 days of first use); day or night. Aquatica’s private cabanas are the best way to take in all Aquatica has to offer. Rentals are not included with park admission, separate pricing applies and reservations are suggested. Your perfect family getaway awaits you at Beaches All Inclusive Resorts in Jamaica and Turks and Caicos. Play on pristine, white–sand beaches caressed by crystal-clear seas. Spend your family vacation in luxurious rooms and suites. Enjoy a whole array of incredibly exciting and fun activities for kids of every age. Truly, Beaches Luxury Included® vacation package deals in Jamaica and Turks & Caicos promise unforgettable family fun beneath the Caribbean sun. Click HERE to see what Beaches Resorts by Sandals has to offer, and/or Contact your Destinations with Character Travel Consultant. 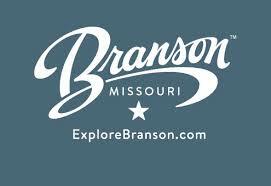 Click HERE to see what Branson has to offer, or Contact your Destinations with Character Travel Consultant. No crowds. No turnstiles. Imagine a place where your family can touch and swim with dolphins, wade with mysterious rays, snorkel among thousands of exotic fish, hand feed tropical birds in a free-flight aviary and relax on pristine beaches. Rated the #1 theme park in the world by the 2013 TripAdvisor Travelers’ Choice Awards, discover an all-inclusive day resort experience that’s one of a kind. Contact your Destinations with Character Travel Consultant to see what Discovery Cove has to offer your family. Click on any of the brochures below to see the complete destination guide opened in a separate browser tab/window for your convenience. Grand Pineapple Negril All Inclusive Resort sits on a prime spot on Negril’s Seven Mile Beach, which has been voted many times over as one of the best in the world. Legendary for its dramatic sunsets, silky white sands, clear turquoise waters, and spontaneous island spirit, the natural attributes of this phenomenal beach are alluring to the soul. ALL-INCLUSIVE RESORT Out of the many all-inclusive resorts in Jamaica, Grand Pineapple Negril is certainly among the most value-laden. Nestled amidst lush greenery, swaying palm trees and manicured lawns, this enchanting resort sits on a prime spot on one of the world’s most beloved beaches and features vividly-hued architecture that complements the laid-back and carefree spirit of the island. Click HERE to see what Grand Pineapple Beach resorts by Sandals has to offer, and/or Contact your Destinations with Character Travel Consultant. Awards For Customer Service Excellence – Pleasant Holidays is recognized annually with numerous travel industry awards for excellence for extraordinary customer service including “Best Tour Operator Hawaii” for an unprecedented 11 consecutive years 2005-2015, “Best Tour Operator Mexico” 2008 & 2010, “Best Tour Operator providing the Best Travel Agency Support” 2008, 2010 & 2015. Pleasant Holidays is dedicated to excellence and aspires to be the leading provider of worldwide travel. Group Travel / Weddings & Honeymoons / Cruises – Pleasant Holidays offers travel services for individuals, couples, groups and corporate incentives including destination weddings and honeymoons. Pleasant Holidays offers a wide variety of cruises, from intimate yacht cruises in Alaska, Hawaii and Mexico, luxury All-Inclusive river cruises in Europe and Asia, American Queen Steamboat Cruises on the Mississippi, Columbia and Snake Rivers, luxury Windstar sailing yachts in Tahiti and Europe, plus luxury Paul Gauguin ocean cruises in Tahiti and French Polynesia. Pre and post cruise hotels are available near the largest cruise ports such as New York. Ft. Lauderdale, Miami, Seattle, Honolulu, Rome, Barcelona and Paris with a minimum one-night stay. Why choose Railbookers? – Railbookers offer an ever-expanding portfolio of vacations to inspiring, sought-after destinations across Europe, the USA, Canada and beyond. Discover the joy of the journey, pass spectacular scenery and enjoy a hassle-free vacation. 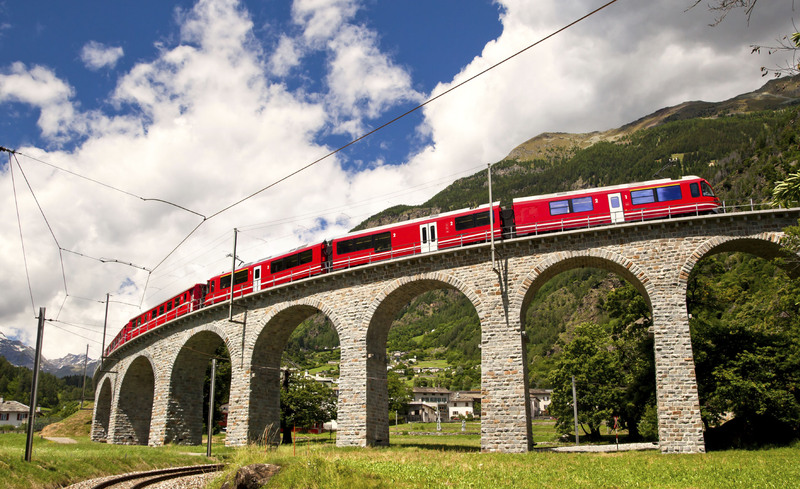 Choose from one of our expertly-planned, independent vacations or let one of our knowledgeable Rail Experts build your own tailor made trip. All you have to do is sit back, relax and enjoy the journey. Where will the tracks take you? – Railbookers offers independent tailor made vacations by rail. Search by destination, discover our most popular routes, be inspired by a scenic journey, or check out our special offers. We take the complexity out of booking your dream rail vacation so call today, your next adventure by train is just around the corner! Destinations with Character Travel is registered to offer our clients, the fabulous RIU Resorts, worldwide. Read below to get an idea of what RIU has to offer its clients, and then contact your Destinations with Character Travel Consultant for additional information and booking policies. Holiday hotels designed to offer the best services for families, couples, groups of friendsor guests traveling on their own and looking forward to enjoying comfortable rooms, excellent facilities and services for leisure and relaxation, as well as varied and delicious food and drink. LIVE A UNIQUE EXPERIENCE – Riu Hotels & Resorts, we have been working on one idea, that our clients enjoy an unforgettable experience over 60 years. They built more than 100 hotels in the best destinations worldwide, our aim is to make our guests feel good and enjoy your stay with all the amenities we offer. LIVE YOUR OWN UNIQUE EXPERIENCE – Riu Hotels & Resorts remains the firm favorite for hundreds of travelers who select them year after year for their vacation. City hotels with the best facilities for those traveling on business, while, at the same time, also meeting the needs of leisure travelers. They are always located at the main hubs of major cities for fast, easy access to the most interesting spots. RIU Plaza Hotels are buildings with modern, elegant architecture, specifically designed to meet all the technical and aesthetic qualities required by 21st century hotels. However our RIU Plaza hotels are not just intended for the business world but also for urban tourism, and that’s why they were built near the best-known shopping centres and tourism districts. The Hotel Riu Plaza Guadalajara is located a few minutes from the Gran Plaza Fashion Mall and the Expo of Guadalajara; the Hotel Riu Plaza Panama, in walking distance of the Panama Canal; the Hotel Riu Plaza Berlin near the Ku´Damm shopping area and the famous KaDeWe (Kaufhaus des Westens) department store; the Hotel Riu Plaza Miami Beach, a few minutes from downtown Miami and Lincoln Road; the Hotel Riu Plaza New York Times Square, in the heart of Manhattan; and the Hotel Riu Plaza The Gresham Dublin on renowned O’Connell Street. A luxury stay in the best destinations worldwide. Riu Palace Hotels are ready to cater to any desire: a glass of champagne, some delicious canapés, a bubble bath, 24-hour wi-fi throughout… all this is easily within your reach due to our excellent balance between quality and price. Come experience the very pinnacle of luxury Caribbean all-inclusive vacations at Sandals Resorts, All Inclusive Resorts. Our luxury resorts, set along the most gorgeous tropical settings and exquisite beaches in Saint Lucia, Jamaica, Antigua, The Bahamas, Grenada and Barbados, feature unlimited gourmet dining, unique bars serving premium spirits and wines, and every land and water sport, including complimentary green fees at our golf resorts and PADI® certified scuba diving at most resorts. If you are planning a wedding, Sandals is the leader in Caribbean destination weddings and honeymoon packages. Click HERE to see what Sandals Resorts has to offer, and/or Contact your Destinations with Character Travel Consultant. Destinations with Character Travel offers clients single day tickets, tickets, hotels, vacation packages, and special event tickets, for all 3 of the SeaWorld Entertainment Parks in Orlando, Florida, San Antonio, Texas, and San Diego, California. SeaWorld® can give you an up-close encounter with the world beyond the ocean’s door. Make your vacation truly unforgettable at our world-class theme parks with SeaWorld’s unique animal interactions, thrilling rides and inspiring shows that will connect their hearts to the sea and sea life in ways no one else can. We give you the vacation you deserve Southwest Vacations® is committed to our customers. Our goal is to provide you with a superb vacation experience from beginning to end. From the planning stages, to the vacation itself, all the way to your return home, we are there for you. We recognize and appreciate the uniqueness of our customers. No two people are alike, so no two vacations should be alike. With Southwest Vacations, you can customize your vacation package to fit your needs and wants. We partner with quality suppliers for all of our vacation elements to ensure that you get the vacation you deserve. So feel at ease when you book a Southwest Vacations’ package! Who is Southwest Vacations? – Southwest Vacations is the leisure vacation package product for Southwest Airlines and is operated by The Mark Travel Corporation (TMTC). 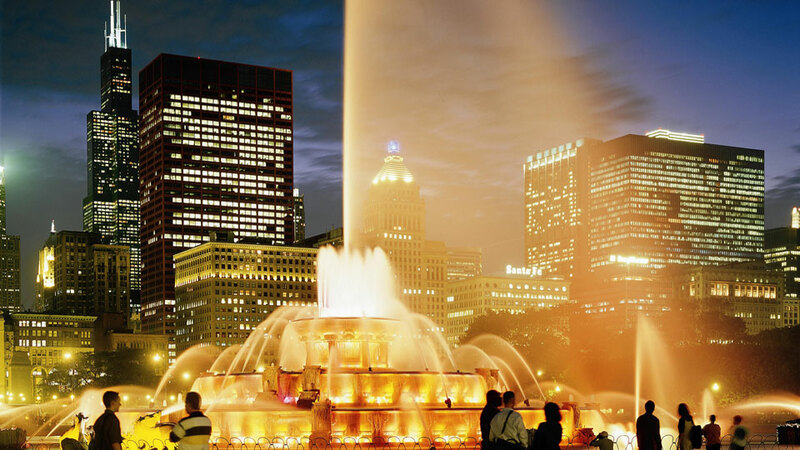 TMTC is headquartered in Milwaukee, WI and has offices throughout the country including Orlando, FL where the Southwest Vacations marketing offices are located. We offer complete vacation packages to destinations across the U.S., Mexico, and the Caribbean with flight service available from every scheduled Southwest Airlines departure city. While our vacations packages are not available to every city Southwest Airlines serves, packages are available to most leisure destination markets. Our commitment to you – It starts with the planning. We make it simple because you can customize your vacation to include what’s right for you. All the selections from which you can choose have been screened by us to meet quality Customer Service standards. Plus, we strive to bring these selections to you at a more attractive price than if you purchased them individually. After you’ve made your selections, you can purchase your reservation with one, easy transaction. Your vacation memories start here – United Vacations® combines the best fares on United Airlines® with everything you need to create the vacation experience you’ve dreamed of. We offer vacation package options to over 50,000 resorts in over 400 destinations across the United States, Canada, Mexico, the Caribbean, Central America, South America, Europe, Asia, Australia, New Zealand and the Middle East. And with over 10,000 activities available, your perfect trip is just a few clicks away. Plus, when you vacation with us, you can earn United MileagePlus® bonus award miles in addition to credited flight miles. The experience that’s right for you – Make your vacation special with our recommended selections for all-inclusive, family, and luxury vacations, as well as honeymoons. United Vacations also offers getaways tailored to ski and dive enthusiasts and escorted or independent tours. Enhance your experience by choosing United First® and United Business® airfares. If you are traveling with family and friends, Groups Your Way offers flexible options to easily book your vacation together. Every United Vacations package also comes with our Best price guarantee and easy payment options. Caring service from beginning to end – We care about your vacation and will be there for you from beginning to end. Our Customer Care team can support you with any questions during your booking process and is available 24/7 during your vacation. We go out of our way to notify you of schedule changes or major events that could impact your trip. For the ultimate peace of mind, you can purchase Vacation protection that lets you cancel for any reason before you go. It also comes with price protection and during-travel insurance including 24-hour worldwide emergency travel assistance, baggage protection, trip interruption/delay reimbursement, medical coverage, and more. When you return, we’d love to hear your feedback; contact us at customerservice@unitedvacations.com. A company you can trust – United Vacations is the leisure vacation package product for United Airlines and is operated by The Mark Travel Corporation (TMTC). TMTC is a privately held company headquartered in Milwaukee, Wisconsin, and has been fulfilling millions of vacation dreams with unparalleled customer care and at exceptional value for over 40 years. Why Choose United Vacations? – We know you have many options when choosing a vacation company. We’ve made it easy to see why United Vacations® is hands-down the best choice for all your travel needs. The best deals & Lowest airfares on United Airlines® – We are the exclusive vacation brand for United®, which means we have access to the best prices, including United Polaris℠ first class and United Polaris℠ business class airfares. Best price guarantee – When booking your United Vacations getaway, you can be sure that you’re getting the best price for your vacation. You’ll always find the lowest United airfares, plus we guarantee your complete vacation price is the lowest. If you find a lower price for an identical vacation package, we’ll match it. Exclusive MileagePlus® benefits – United MileagePlus Explorer and Club Card members will earn 2 miles for each $1 spent on United Vacation purchases. In addition to miles that you earn for your flight, earn up to 2,000 bonus miles when flying United Polaris first class and United Polaris business class. We also offer Limited-time promotional offers to earn even more bonus miles. The best policies – $200 down, pay later; Exclusively with United Vacations, reserve your vacation for only $200 per person and pay the rest later. Premier vacation protection – This travel protection program allows you to cancel your vacation for any reason before you go. It also comes with price protection and during travel insurance including 24-Hour worldwide emergency travel assistance, baggage protection, trip interruption/delay reimbursement, medical coverage and more. Breadth of product – United Vacations offers vacation package options to over 50,000 resorts in over 400 destinations across the United States, Canada, Mexico, the Caribbean, Central America, South America, Europe, Asia, Australia, New Zealand and the Middle East. And with over 10,000 activities available, your perfect trip is just a few clicks away. End to end customer service – Our customer care team can support you with any questions during your booking process and is available 24/7/365 during your vacation. We go out of our way to notify you of schedule changes or major events that could impact your trip. Group vacations – We’ve made booking group travel easy for all group types and sizes. Destinations with Character Travel Offers tickets for Universal Studios Hollywood along with separate hotel reservations at many locations around the Universal Studios Hollywood . Universal Studios Hollywood is a film studio and theme park in the unincorporated Universal City community of the San Fernando Valley region of the city of Los Angeles, California, United States. It is one of the oldest and most famous Hollywood film studios still in use. Its official marketing headline is “The Entertainment Capital of LA”. It was initially created to offer tours of the real Universal Studios sets and is the first of many full-fledged Universal Studios Theme Parks located across the world.Woody Woodpecker is the mascot for Universal Studios Hollywood. Outside the theme park, a new, all-digital facility near the Universal Studios back lot was built in an effort to merge all of NBC Universal’s West Coast operations into one area. As a result, the current home for KNBC, KVEA and NBC News with Telemundo Los Angeles Bureaus with new digital facility is on the Universal lot formerly occupied by Technicolor SA. Universal City includes hotels Universal Hilton & Towers, the Sheraton Universal Hotel, the multi-screen Globe Theatre, often used for banquets and receptions and Universal CityWalk, which offers a collection of shops and restaurants. In 2013, the park hosted 6,148,000 guests, placing it 17th in the world and 9th among North American parks. Destinations with Character Travel Offers tickets and hotel packages for the Universal Orlando Resort, including onsite hotels: Universal’s Aventura Hotel, Universal’s Cabana Bay Beach Resort, Loews, Sapphire Falls Resort, Loews Royal Pacific Resort, Hard Rock Hotel, Loews Portofino Bay Hotel, Universal’s Endless Summer Resort – Surfside Inn and Suites. Universal Studios Florida® is a real working motion picture and television studio that enables guests to jump right into the action of their favorite films and TV shows ‘on-set’ of a variety of fully dressed backlot locations. Prepare for the greatest battle you’ll ever ride! The new TRANSFORMERS: The Ride-3D is an ultra-immersive, next generation thrill ride that blurs the line between fiction and reality! Take an unforgettable journey as the world’s most cutting edge rides, shows and interactive attractions bring your favorite stories, myths, cartoons, comic books and children’s tales to life. Universal CityWalk® is Orlando’s hottest spot for dining and entertainment. It’s a 30-acre entertainment complex where you can experience the best of the best in live music, casual and fine dining, dancing, shopping, movies, and more. Offering everything from a night of family fun to a great place to hang out with friends to romantic fun for couples. Yankee Holidays offers 100+ vacation packages to all of the must-see and most sought-after destinations throughout the U.S. and Canada. Whether you’re looking to witness the beauty and scenic landscapes of North America’s most popular National Parks including the Grand Canyon, Yosemite or Glacier National Park or visit exciting cities like Chicago, New York City, New Orleans or Seattle on a 3-4 day getaway, our experienced vacation consultants can help you customize your vacation. Plus, all of our packages are inclusive of accommodations, sightseeing, dining and entertainment options so that it truly becomes your dream vacation. NATIONAL PARKS – Looking for a unique travel experience? Our National Parks vacations introduce you to the spectacular sights and countless glaciers, lakes and mountain ranges of places like Glacier National Park, the Grand Canyon, Yosemite National Park and Yellowstone. CITY GETAWAYS – Our city getaways are the perfect vacation to relax and experience the best that North America has to offer. Inclusive of accommodations, sightseeing and entertainment, our getaways are full of adventure and excitement! VIA Rail Canada Vacations – See the beautiful country of Canada the way it was meant to be seen, aboard VIA Rail Canada. Enjoy anecdotes and travel discoveries from coast to coast. Our scenic rail tours across this amazing country truly showcase its gorgeous landscape and breathtaking sights. 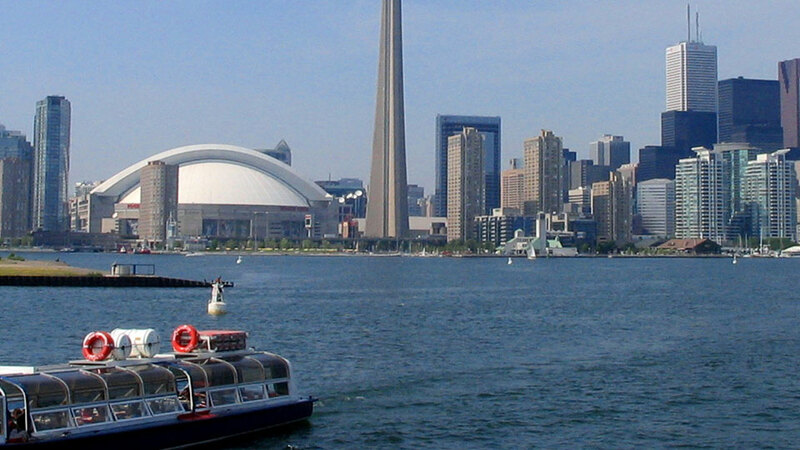 Destinations include the majestic Canadian Rockies, Jasper National Park, Toronto, Vancouver, Niagara Falls and much more! Click HERE to request additional information regarding Destinations, Planning and booking a Pleasant Holidays Vacation Package.